Whether you’re traveling to Paris or just want to shop French beauty products online, these are the ones to buy. During my seven week study abroad program in Paris, I saw green crosses all over the city. These signs indicate the location of a pharmacy, in contrast with the red crosses we see in the United States. Immediately, I wondered: “What makes these pharmacies different from pharmacies in the U.S.?” After visiting several different locations and doing research online, I discovered a few key differences between French pharmacies and those in America. I also found five amazing beauty products that I would recommend to college students as well as people of all ages. Citypharma on Rue Four and Rue Bonaparte in the sixth arrondissement (quarter) is the busiest, and according to reviews, the best-stocked pharmacy in the city. I knew I had to check out this beauty-lover’s paradise. This pharmacy does not look that different from others on the outside, but on the inside, the aisles are packed full of people looking for good deals on French beauty products. Citypharma is known for its prices, which are lower than other pharmacies in the city. 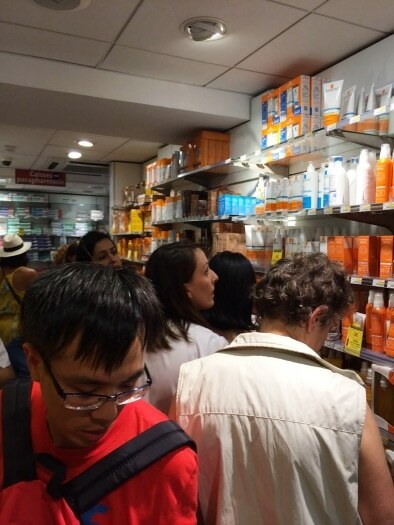 The prices are typically comparable to American pharmacies, but the immense selection of skincare and haircare products is what tourists love about Citypharma. Pharmacies in France don’t carry everything that you will find at an American pharmacy; don’t come to these establishments for candy, photo prints, or office supplies. However, the skincare products are so intriguing that you’ll forget all about your gummy worm craving. 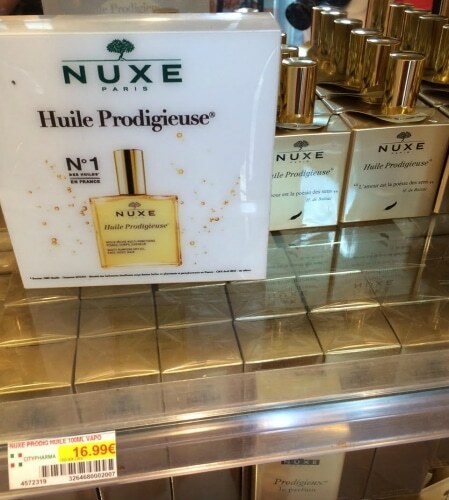 The first product that I knew I had to pick up is this Dry Oil Huile Prodigieuse by Nuxe. This is a multi-use moisturizer that sinks into your skin quickly; no greasy mess! It comes in a spray bottle for easy application. Try this product on your elbows, neck, and hands to prevent premature aging and promote elasticity in these areas. I wish I had this product, or a similar option, during my freshman year of college when I went out to more parties because it gives your skin that extra boost of shine. Try wearing it on your legs to make them look glowy, tan, and toned for a night out. I also really enjoy the scent of Nuxe products; their site calls it “mythical.” It is made from six precious plant oils– hazelnut, borage, macadamia, sweet almond, camellia, and St. John’s Wort– which gives it a warm, nutty scent that won’t clash with other fragrances. Bioderma Sensibio H2O is a cult favorite that’s constantly mentioned by beauty bloggers and makeup artists. It is a micellar cleanser, and the best way to use it is to soak a cotton pad with the solution, then wipe it on your face and eyes until your makeup is removed. There is no need to rinse it off, so it’s a great product for those nights when you’re too tired to go through a tedious skincare regimen. This is another product that is perfect for college students because there are some nights when you just don’t feel like washing your face after a long study sesh. Micellar cleansers are the answer to this problem! Bioderma is my favorite brand that I have tried, but Simple has a comparable product if you don’t feel like ordering online. 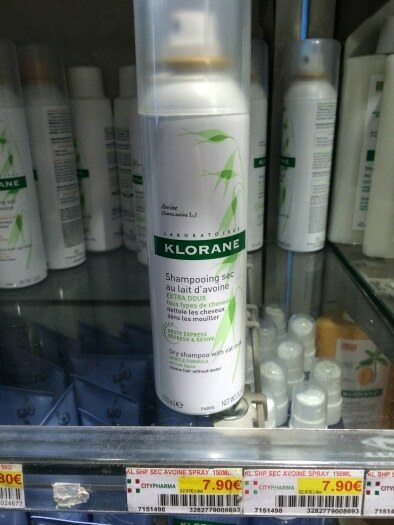 The Klorane Dry Shampoo with oat milk is one of the best dry shampoos I’ve tried (and I’ve tried quite a few). 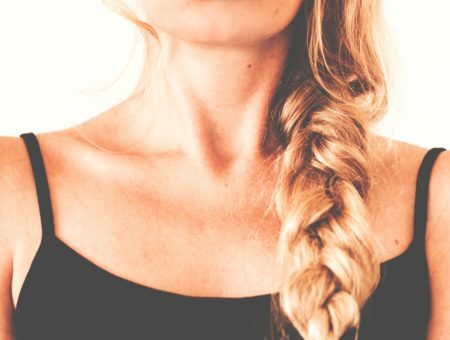 It quickly soaks up grease in my second- or third-day hair without leaving too much of a white cast. I also like the fresh, clean smell. This product is a must-have for college students. I even keep a mini dry shampoo in my backpack or purse on school days in case my hair starts to get greasy. (I go to the University of Arizona, so the heat can lead to a lot of sweating in the summer months!) Dry shampoo is a lifesaver when I want my hair to look cleaner but don’t have the time to wash it. 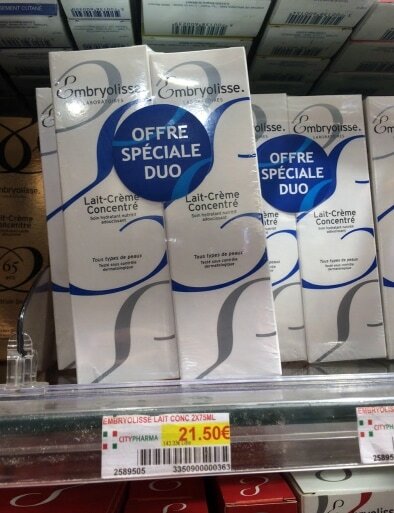 Embryolisse’s Lait-Crème Concentré is an all-purpose, hydrating moisturizer and makeup remover. Their website calls this product a “24-hour miracle cream” that transforms dehydrated skin with moisturizing ingredients. It can also be used to prime skin for face makeup. This is wonderful for college-aged women because it is multi-use product. You can use this cream as a skin primer, a nighttime moisturizer, and/or a hydrating makeup remover. 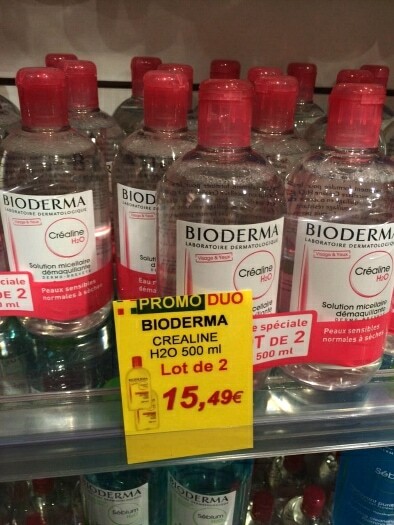 I picked up an extra bottle as a gift for my mother, who has dry skin. She is always looking for a new moisturizer, and this product was the perfect fit. 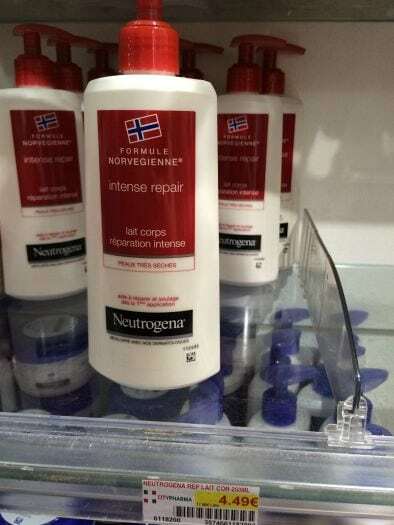 Neutrogena’s Formule Norvegienne Intense Repair moisturizer is a budget buy at just 4.49 euros ($4.91 at current exchange rates) at Citypharma. It is hard to find this product in U.S. drugstores, but it is readily available online. The formula is unique because it contains glycerin, which is naturally found in your skin. Glycerin is extracted from fats or lipids and promotes moisture in your skin. The fragrance is very light, so no need to worry about an off-putting smell! I will miss being able to hop on the metro to explore Citypharma. 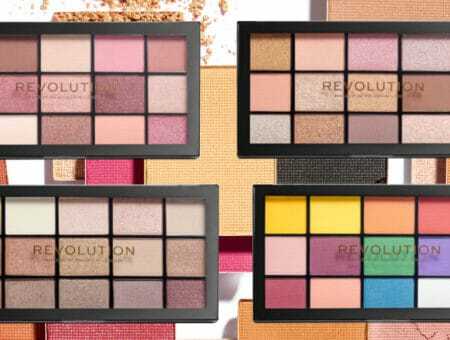 These products are cult favorites in France and around the world, and I wish I could go back and have all of these wonderful products right at my fingertips. I recommend stopping by this pharmacy if you are ever in Paris! 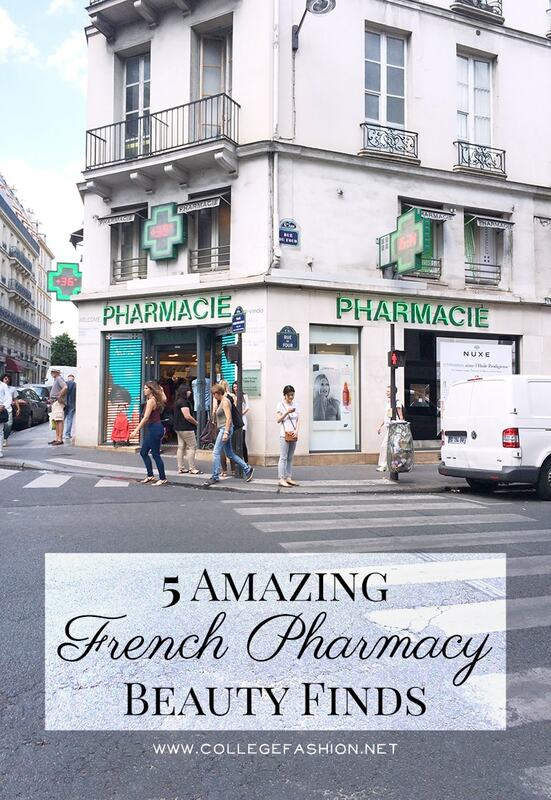 So tell me, what do you think of French pharmacies versus their American counterparts? What are the pharmacies like in countries that you have visited? Are there any products I mentioned that you’re going to purchase? I can’t wait for your feedback!